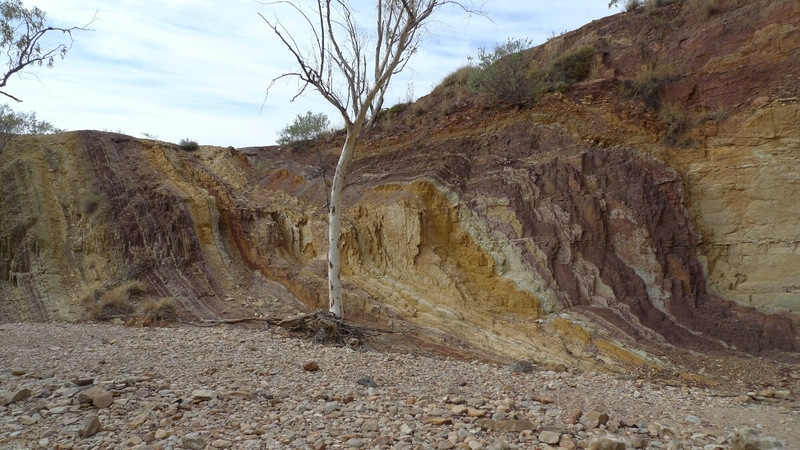 After our stay at the Ellery Creek Big Hole, we went on to visit the Ochre Pits further west. 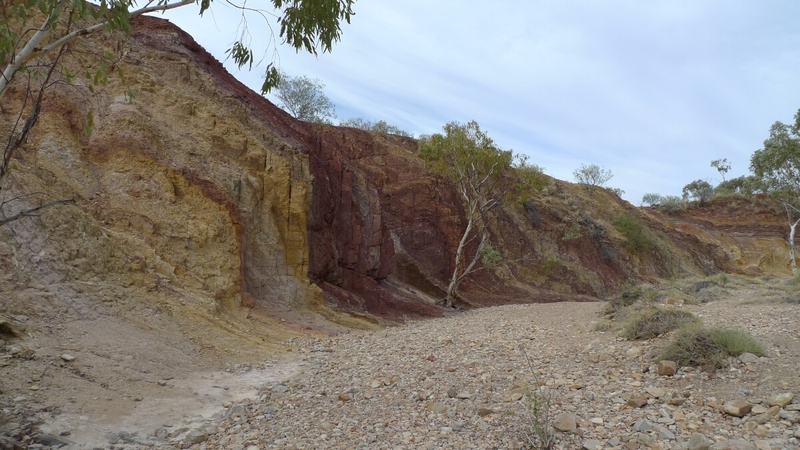 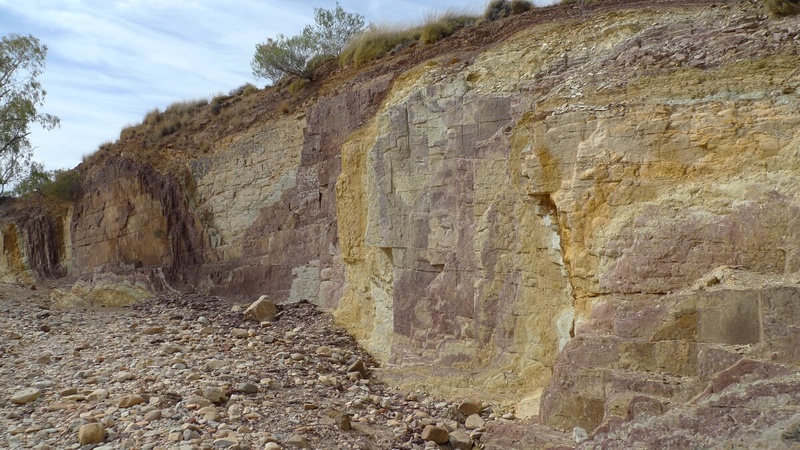 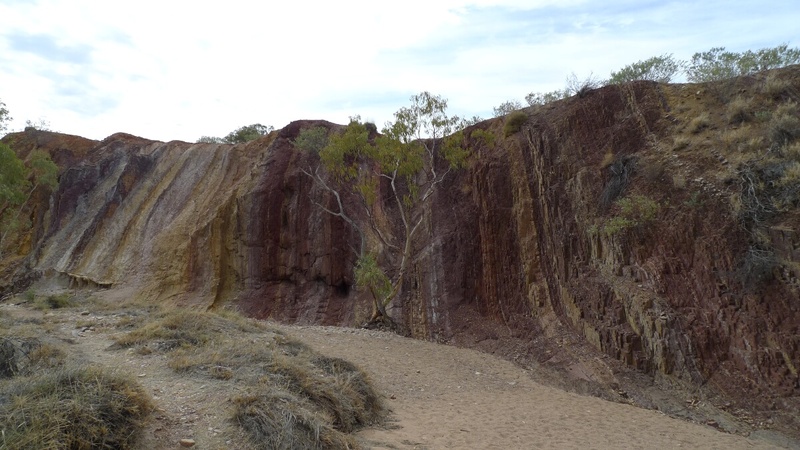 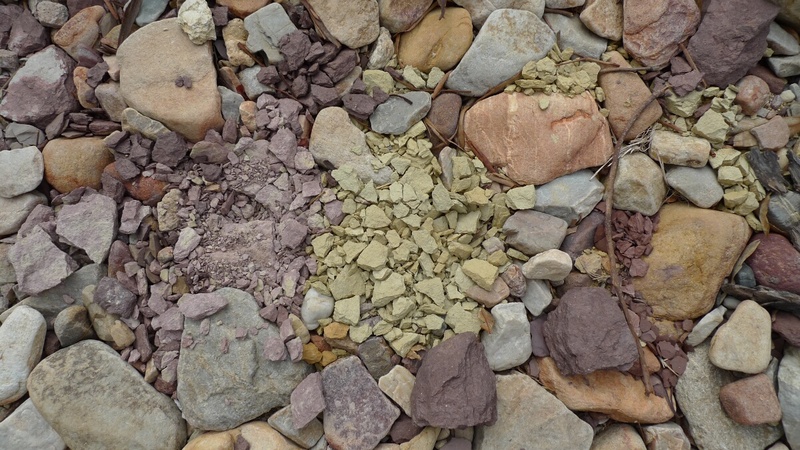 The colorful ochre outcrop is an important and cultural very significant place since ochre was used on a daily basis and from this rich source it was traded over the whole continent. 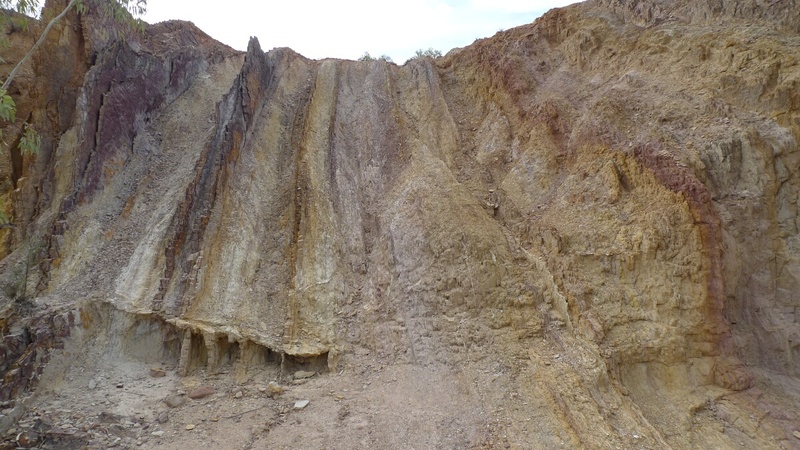 The pits are just a short walk away from the car park. 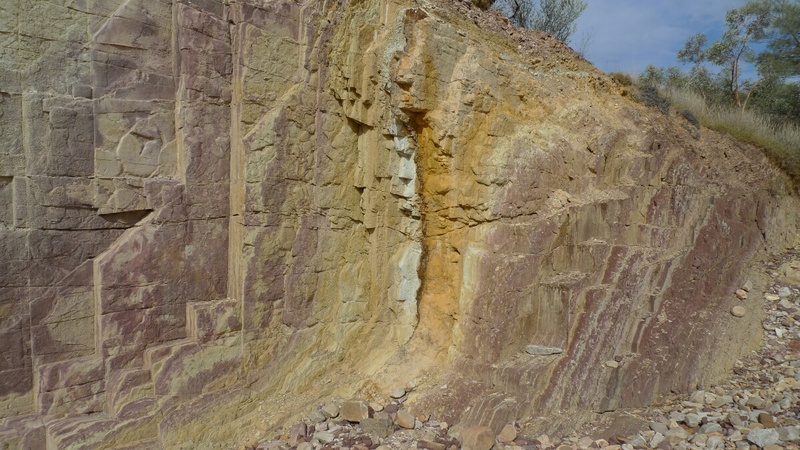 The about 3 meter high ochre walls are featured with a colorful wave pattern turning gradually from dark purple to light yellow and back again. 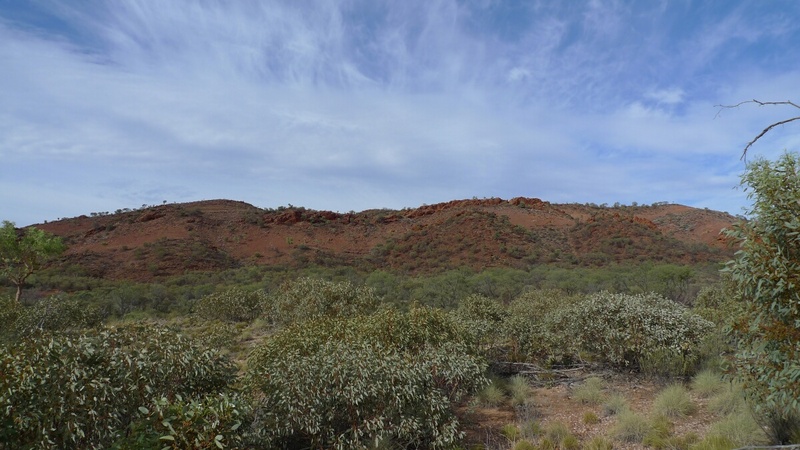 This was definitely our favorite spot in the West MacDonnell Ranges.